If you've been looking for a German Silver Dressage Bradoon Eggbutt Bit you came to the right place. This specific model of Bradoon Bit happens to be one of our best sellers due the it's impeccable craftsmanship and affordable pricing. 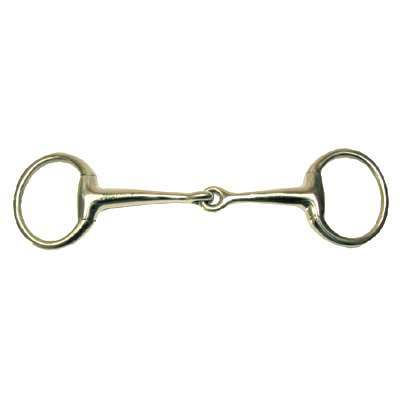 The German Silver Dressage Bradoon Eggbutt Bit applies even pressure while the eggbutt ensures that the mouthpiece does not rotate around ring while bit remains stationary and prevents pinching the lip. This Eggbutt Bit also creates snapping action with rings and mouthpiece. This item measures 2'' rings and 12mm mouth. These Bradoon Bits are made of only exceptional quality materials. When buying a Horse Bradoon Bit from us rest assured you are getting a great product at unbeatable pricing.